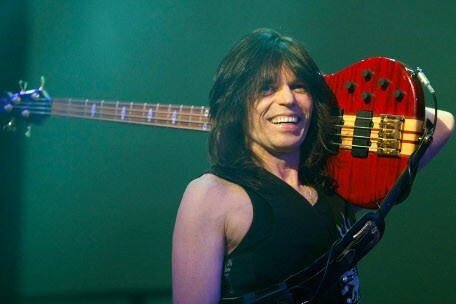 Rudy Sarzo is a professional recording and performing artist. He has been performing worldwide for over 35 years with groups including Ozzy Osbourne, Quiet Riot, Whitesnake, Dio and many more. Rudy is also the author of the book, Off The Rails, which chronicles the time he spent with Randy Rhoads during their Quiet Riot and Ozzy years. Rudy shared his perspectives on how the music business has changed since he started in the 1970s and how he has managed to adapt to find success. He also offered up important advice to artists who want to succeed long term and find fulfillment in music. Thanks for taking some time out to talk, Rudy. You’ve had a phenomenal career. How have you been able to make it in this business for as long as you have? Along those same lines, when you walk into a situation, you are joining the band. The band is not joining you. There’s a hole that’s missing, and you are the piece of the puzzle that’s going to complete it. I have also been in situations where I am one of the founding members and there from the very beginning. That is a little bit different, because you are creating your own design of a piece of the puzzle. When you’re walking into a situation like I did with Ozzy Osbourne, there was a piece of the puzzle that was already shaped, so I had to mold myself to become that piece that piece that fills that hole and doesn’t overlap it. I can’t just all of a sudden make the puzzle fit me; that’s like sticking a square peg in a round hole. With Ozzy, I also had to adapt to playing with a different drummer that was not on the record. So, it was a matter of keeping the essence of what’s already on the record and then adapting to what the new feel of the music is going to be, because whenever you lose a band member and add a new one, even the members who are still there play differently. Sticking around in the music industry is about being aware of your role in the situation. That doesn’t mean you have to compromise. Once you feel like you are compromising, then you have to move on and to another situation. You can create your own situation so that there’s no compromise – make it your vision. You seem to have had a knack of surrounding yourself with great players. From what I’ve read about your career, you did a lot of smaller records, then moved on to Quiet Riot, then ended up with Ozzy. How did you seek out great players? With Quiet Riot, I basically walked in. I was the last guy to audition. They were looking for a particular style of bass playing. They were looking for someone who sounded like John Deacon. A lot of bass players who were in the music scene in L.A. around 1978 were playing with a pick, and they were looking for someone that played with their fingers. I grew up playing that way, and ended up being an anomaly in the L.A. scene. I was out of town when they first started searching for bass players, but then people who knew me finally told them that if they were looking for that style of playing, they should check me out. They wanted a finger-style bass feel with some R&B and some funk. Early Quiet Riot was very influenced by bands like Humble Pie. Greg Ridley was one of the reasons Humble Pie was so funky and so groove oriented. The fact that Quiet Riot was looking for that type of bass playing is how I started playing with the Randy Rhoads’ version of the band. And then, Randy got me the gig with Ozzy. Even though Bob Daisley was a pick player, when I played with Ozzy, I was able to adapt and try to approximate that tone. And Tommy Aldridge was a very specific type of drummer, used to playing in coliseums and big stadiums and played in front of the beat so I had to adjust to mesh with him. By the time I joined what was known as the “Metal Health” version of Quiet Riot, I basically had to re-adapt my playing to on-top-of-the-beat or a little-bit-behind-the beat playing. What I was playing with Quiet Riot, like “Come On Feel The Noize” or “Bang Your Head” was very different from anything that we did with Ozzy, like “Mr. Crowley.” By the time I joined Whitesnake, Tommy Aldridge was once again my rhythm section partner, so he brought back a lot of that excitement and all that driving feel in the drums into the band, which was predominantly a blues-based rock band at the time. Everybody knows about the work you did with bigger bands. But you mentioned you were known around L.A. locally as a fingerstyle player early on, to the point where you were often recommended. How did you get this notoriety? Did you just play every gig you could? That’s a really great question. I did not grow up playing music in L.A. I grew up in Miami. I showed up in L.A. in late 1976, and I did not do a whole lot of gigging around town. Because, the way the L.A. scene was at the time was that it was pretty much a showcase for record labels. On the strip, there was Filthy McNasty’s, which became the Viper Room and then there was Gazarri’s. In those clubs you could mix some originals with Top 40 songs. The rest of the clubs such as The Wisky a Go Go and the Roxy mostly booked recording artists. LA was not a Top 40 town. It was just a place where bands got together to get a record deal, so there were a lot of showcase rooms. A lot of bands did cover material. But then again, you did not move out to L.A. to play in a cover band. I could have stayed back home in Miami and done that without having to make sacrifices and starve and sleep on the floor. Back in the day, we didn’t have tribute bands. We just had Top 40 bands. So, how I became known as a fingerstyle player was just through word of mouth of people that heard me and saw me – the musicians I was in direct contact with. And there were very, very few occasions that I actually got to perform live around town before I joined the Randy Rhoads version of Quiet Riot. Clearly these musicians must have thought highly of you as a person and player. Talent aside, you’re a likable guy and someone people are willing to hang out with for a long period of time. I’m guessing that is a big factor, no? Right now there seems to be a new wave of young musicians arriving in L.A. They come up to me and say, “Hey man, how can I get a gig?” And they ask me all kinds of questions about getting by in the industry. I tell them that there’s no shortcut. And the first step is developing your trust factor. To me, trust is even more important than musical ability. You could be the greatest musician in the world, but if you’re not trusted, it’s a problem. I had already gained Randy’s trust by the time he recommended me to Ozzy. I didn’t get the gig because of my playing; there were a lot of bass players who could’ve played the music. That wasn’t the point. The point was, they were looking for somebody they could trust to join the band. They needed someone who was not a drug addict or an alcoholic and who wouldn’t disappear or be a troublemaker. They wanted someone they could live with in the bus without effort. When they brought me in, they only had ten days before a tour. We started rehearsing immediately, and then we were on the road before I knew it. Randy knew me from being in the Quiet Riot with him, so he told Ozzy that I was the guy they were looking for. He said he could vouch for me and trust I was going to fulfill their needs as a player and a human being. They could trust me to be on every single night. From that point on, I was able to build my trust factor as a musician as I went through all my other musical journeys. Trust is about who I am as a person. Once I make a commitment, that’s it. It doesn’t matter who else calls me for a gig. I will not walk out on a gig once I’ve committed to it. And that has come up. When I was doing an Yngwie Malmsteen tour in 2004, I got a call from Wendy Dio asking me to join the band Dio and go into the studio to record what would wind up being Dio’s final album, Master of the Moon. I could’ve walked out on the tour, but I didn’t. I told Wendy I was already committed, and she and Ronnie understood and respected that. Once I completed the tour with Yngwie I then joined DIO and was the bass player until Ronnie’s untimely passing. The second you walk out on a gig, you get pegged as unreliable, and it ends your career. You stop getting A-list phone calls. You’ve had the opportunity to play with a lot of different groups and have continued to be employed over the years. Was this success due to continuing word of mouth, meeting people on the road, talking about yourself to others, or a combination of all of these? I do exactly the same thing that I’ve always done. I do my gig and try to be the best that I can at it. The only difference between when I started out and now is that I can say I’ve been doing this for over 35 years. I bring those 35 years of legacy with me to every project I do. When I first started out with Ozzy, I was a clean slate. I had no legacy and everything to prove. I still feel like I have everything to prove. I not only have to prove it to myself but also pay tribute to and celebrate our collective legacy. It’s about me and all the other people I’ve played with before. I think the best musicians and the best friends I have who are musicians are the people who actually drive me to become better. They challenge me musically. I love to be challenged, because it gets me outside my little box. Lately, I’ve realized there are also ways to keep myself outside of the box. I’m constantly using YouTube as a university, a school where I can learn music. And actually, because I’m getting back into music theory on a deeper level lately, I go more to websites where you have jazz pianists teaching music than I go to any of the other websites I regularly visit. You have great technique. Are you also a guy who can sight-read and is well versed in theory? I’ve started refreshing my sight-reading skills, but then I realized I’m more of an improvisation guy. So, I’m concentrating more on learning theory rather than reading, because reading is about following a script. I like to use reading as a learning tool, but I’m more into the theory of it and using it to break down the anatomy of the song itself so I can then apply it to my own compositions and improvisations. I think a lot of guys who have been playing for as long as you have get complacent, so it’s incredible that you’re continuing to learn and evolve. Here’s a bit of a personal question: You toured with a lot of musicians known for their debauchery. How did you survive that and keep a level head? A lot of guys didn’t make it as a direct result of that lifestyle. To be honest with you, when I first started touring with Ozzy, who has been known for living a pretty wild life, Sharon and Ozzy weren’t married yet. She was just the manager. And she kept it very clean backstage. She made sure there weren’t a lot of bad influences surrounding us on the road. By the time I was playing with the “Metal Health” version of Quiet Riot, I had met my wife-to-be. So, I didn’t fall into that whole craziness. Plus, I had already been on the tour with Ozzy and knew the discipline you need to have on the road in order to get to the top. But even with all that, what really helped me was finding a spiritual center before I started touring with Ozzy. I had made peace with God that if I didn’t make it as a musician, it’s fine. At that time, I was even sleeping on the floor. I had decided all I wanted to do was take care of my family, be the best person I can be, be grateful for my blessings and play the bass. It’s always been pretty simple. Now your status is different from what it was back then, and I imagine gigs come to you in different ways than they once did. Other than new technology, how is the business different today? How do you think your experience now is different, above and beyond just being a guy who gets more regular calls because of your legacy? Everything is different. I’m one of the legacy guys. The hardest thing we have to face is being able to be open to change. And that’s the first thing I mentioned – adaptation. How do you adapt to today? The younger generation doesn’t have to adapt, because they have nothing to adapt from. They don’t need to transform themselves after being a recording artist for a major label back in the day, with a producer and relationships with other artists … and marketing and promotion taken care of for them. That was the old recording industry. Today, unless you happen to be somebody like Katy Perry or Justin Bieber or another mega pop artist, chances are you’re going to be doing this on your own, at least initially, until you get enough hits on YouTube for somebody at some independent record label to give you some attention. What have been the most difficult elements for you to adapt to? My biggest challenge was trying to start a new band like I did last year with Tracii Guns. We put a band together called Gunzo and decided to go back to the old days. We decided we were going to start a band and do things the way they used to be done. We wanted to go out on tour, do a few shows and become a band before we went into the studio to record some music. So we did that. And every time we would get to a venue, they would either call the band LA Guns, because Tracii happened to have been in that band, or they would call it Tracii Guns. He kept correcting them, but it never stuck. Usually the club promoter’s marketing tool was using some algorithms on Facebook to reach a certain demographic that was within 20 miles from where the club was based. These promoters are just throwing crap against a wall to see what sticks. We’d walk into a venue and see that the only posters and the only marketing this person had invested in was posters for local tribute bands. We were nowhere to be found. How have you seen promotion and booking change since you started out? I have nothing against tribute bands, but when the promoter is booking, they’re making a commitment to a certain band, and they need to respect it. You have some people on stage that are bringing a lot of talent and commitment to the gig you’re promoting. Real musicians don’t show up somewhere, no matter how it looks, decide it’s a dump and just phone it in. Sometimes, the equipment provided is not up to standards, but everywhere we go, we still give the best show we can, no matter what the circumstances. And most importantly, we respect the fans that have shown up to watch us perform that night. Unfortunately, sometimes you don’t get the respect you should from the promoter. A lot of times, this attitude comes from new, young promoters who don’t have enough experience. Honestly, most of the experienced promoters aren’t really in the business anymore, now that the business has been gobbled up by Clear Channel, LiveNation and AEG. We have a brand-new generation of club promoters that are not using traditional means of marketing, and sometimes it can get interesting. I know there are a lot more artists now relying on technical wizardry to fix their playing on recordings and even sometimes live. Do you find that the level of musicianship has declined in the current industry? Are you seeing a lower level of skill with the younger people you’ve played with? That’s a really good question, and my observation is that the musicianship is basically regulated by the quality of the composition of the music. I grew up listening to ‘60s and ‘70s music. To me, that was one of the most creative periods, not only from a musicianship point of view, but also from a compositional point of view. You either had amazing songwriters like Jimmy Webb composing for all these artists or you had amazing songwriters within the band, as was the case with Lynyrd Skynyrd, The Who and a lot of other classic rock groups. 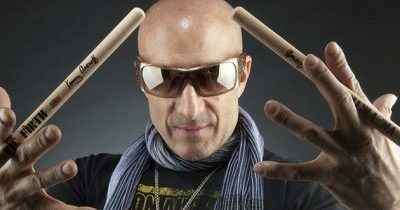 That’s why this music still stands today; there was a certain quality of musicianship, especially from rhythm sections. A lot of musical ideas that were happening between the 60s and the 70s in not only rock but also soul, funk R&B and even country music were really solid. And a lot of the pop records were made by the Wrecking Crew. There was just incredible musicality across the board. You could turn on the radio and get a music lesson if you were listening, right there on the spot. I was part of the ‘80s movement when record companies along with radio and MTV dictated a certain musical direction. Things became a little bit more simplified, and it was the perfect storm. You got the combination of young-image, MTV-friendly bands that suited that programming. And then you had bands that were starting to play bigger venues, arenas, not necessarily stadiums yet, but arenas. And then you had the explosion of the CD, too. And obviously, CDs were bringing in more money. Exactly. There was an explosion. MTV was the best marketing tool I’ve ever experienced. It was bigger than radio. And the bigger the band got the bigger the arenas you played. And with arenas, it was a matter of physics; the less you played, the bigger you sounded due to the natural reverberation of the venue. These 80s arenas were built for sporting events, not for intimate musical performances. Nowadays, when a basketball arena is built, they don’t just build it for the sports events in mind. They also build it for the musical events that are going to be happening there. So, you have different acoustics today in the way new arenas are built. I played the L.A. Forum a lot during the ‘80s, and the acoustics were terrible. Even the Meadowlands had terrible acoustics. So, the bands that were more simple in their style of playing became more popular because they just sounded better. We sounded better playing less than we did playing more, being more musical, being more challenging musically on stage. Anything else would just get lost in the echo of the venue. Do you find there are a lot of musicians out there now who are over-playing to get attention? No, I don’t, because there is no attention to get. To explain further, think about Costco. When you walk into Costco, where do you start? It depends on the Costco, really, because different Costcos are laid out differently. I know the layout of the one that I go to most often, but if I walk into another one, I can’t find anything. In my opinion, the Internet is the same thing. How does a new band get noticed if no one knows you exist or what you’re about? The record industry used to have an infrastructure that made sure somehow, some way your song would get played on the radio, especially if you were on tour. In fact, tours used to exist to promote records. The primary reason to go on tour was so you could go to the radio station in the city where you were playing the show in the morning, talk to the DJ and plug the show and plug the record. And then you would go to the record store right after the after the radio appearance and do a signing. Then, you would go do sound check, do the gig, get out of town and do it again. That doesn’t really exist if you’re an independent artist. YouTube is usually your vehicle to promote your band and often even your live show. How do you do that? How do you even make people aware that you exist? It’s very tough. So, I really don’t think musicians are playing to get attention. I just thinking that musicians are playing because they’re honestly trying to take their own personal instruments to the next level. Because, nobody’s telling them, “You can’t do that.” We used to get a lot of that in the studio from producers who were trying to make us sound more commercial and simplify everything. Before you knew it, the guy that was playing the drums that was known for a certain style of playing didn’t sound like the same guy anymore. Music has to move forward, but it has to start with the individuals. It doesn’t happen by itself. In addition to “Be ready to adapt,” what other advice would you give to someone starting out? My next-best advice would be, “Don’t ever quit.” Quitting is not an option. My decision while I was a struggling musician was not to drag anybody else along on that journey with me. That struggle was not something that I could have put a loved one through. When I first started, I was all by myself with no wife or girlfriend or any ties. I know that a lot of people cannot have that luxury of being independent in such a way and they have certain commitments. But in my own personal experience, being free was the only way I was able to accomplish what I accomplished. You can follow Rudy Sarzo and read about his latest projects on Facebook. This interview came to us courtesy of the folks behind the Hired Gun documentary, which features Rudy Sarzo and many other great session musicians. It is a must watch! Read more about it on the official Hired Gun website and follow the film on Facebook. Hired Gun: Out of the Shadows, into the Spotlight is now available on Amazon.